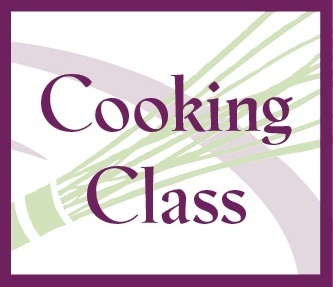 Come over to the other side of the counter to master cooking in our special participation classes. For those who are interested in learning more about how to cook, A Day in the Kitchen offers an in-depth mastery of specific culinary arts. These classes are limited to eight people. Feel the need to elevate your fish and seafood game in the kitchen? Spend the day with Mickey Kitterman creating seven outstanding Italian fish dishes using scallops, tuna, salmon, shrimp, lobster, and calamari. This hands-on class will make lobster Albanello - an extremely popular dish served at St. Louis's legendary Tony's with pasta in a cream sauce, aqua pazza salmon with salsa verde and served with a cucumber-date-orange salad, capesante gratinate - sea scallops roasted with garlic and white wine with prosciutto crumbs, tonnato crostini - seared fresh tuna on Italian toast with olives and capers, fritto misto - lightly battered and fried shellfish served with pesto mayonnaise, scampi risotto insalata - an unusual shrimp salad with arborio rice and vegetables tossed in lemon vinaigrette, plus stuffed calamari simmered in tomato sauce. Participants are invited to meet at 9:15 am at Bob's Seafood, 8660 Olive Boulevard, to select the fish.